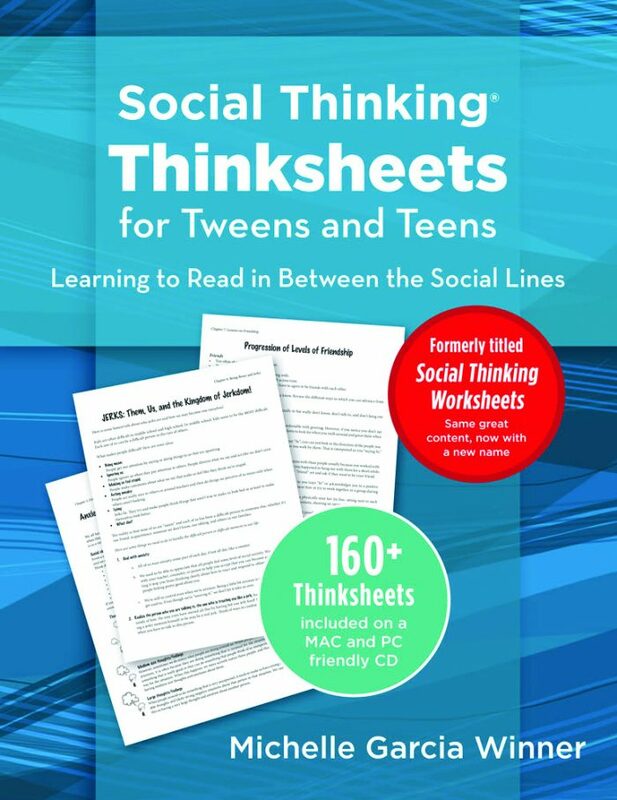 This book provides a new set of worksheets; adding to the worksheet resources we have provided through our first book, Worksheets for Teaching Social Thinking and Related Skills. The use of worksheets is powerful in helping our students to focus cognitively on core concepts related to social functioning. We often start a treatment or classroom session with a worksheet to help our students hone in on specific social concepts in a manner that encourages personal thought, insight and then ultimately group discussion. 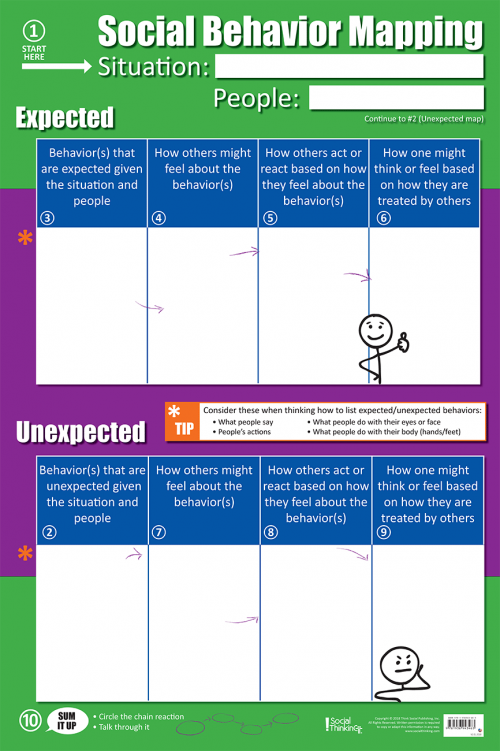 We use the knowledge inspired by the worksheet topic to then more closely explore how this type of thinking is reflected in our social behavior (social skills) and which behaviors we need to monitor or practice to be considered a more competent communicator. 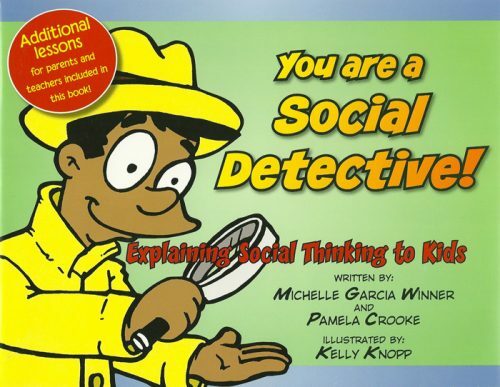 This particular set of worksheets focuses on pre-adolescent and adolescent social concepts. 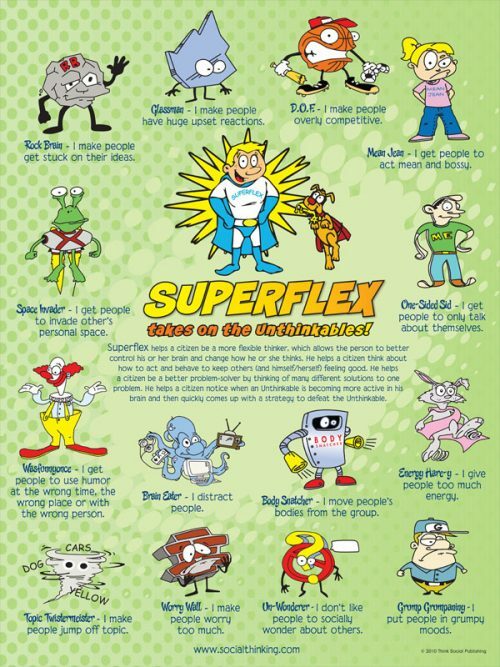 Given social rules and expectations change with age, these worksheets help to encourage more mature Social Thinking and related shifts in one’s social skills. 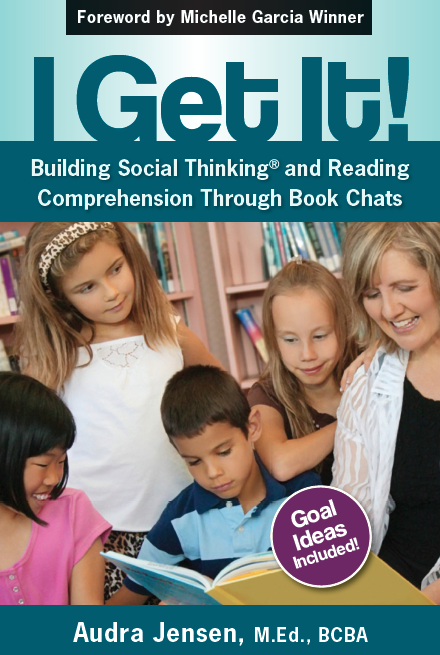 In this book we explore a wide range of topics from starting with basic Social Thinking understanding of the 4 Steps of Communication, to exploring the hidden rules of the classroom and when is it OK to correct other students. We have worksheets under categories such as What Does it Mean to be a Social Thinker? , The Social Fake and Other Tricks, Lessons on Emotions, Participating in Groups, Lessons on Friendship, Being Bossy and Jerky, etc.. A favorite lesson for our students who are not very nice to each other is called, “Jerks: Them, Us and the Kingdom of Jerkdom”. This book includes over 160 worksheets across 9 different lesson sections; a CD which is Mac and PC compatible contains each worksheets for each downloading. 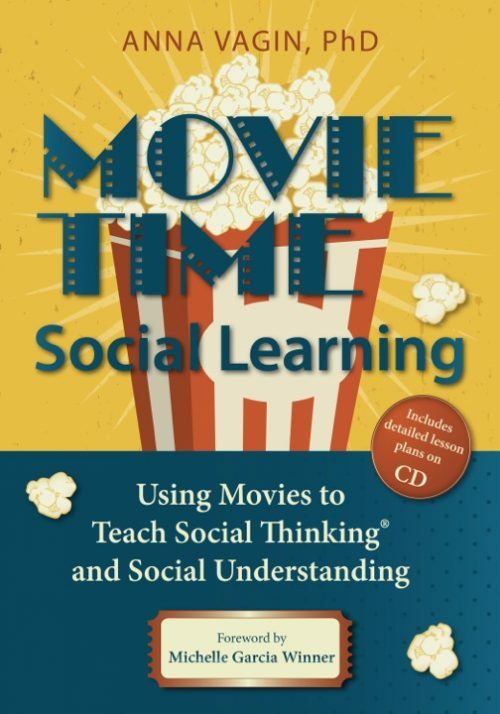 The goal of Social Thinking teachings is to provide students with honest thoughtful information for them to better understand how our social minds really work, so our students have a better chance of figuring the social code and their related social behaviors out for themselves! 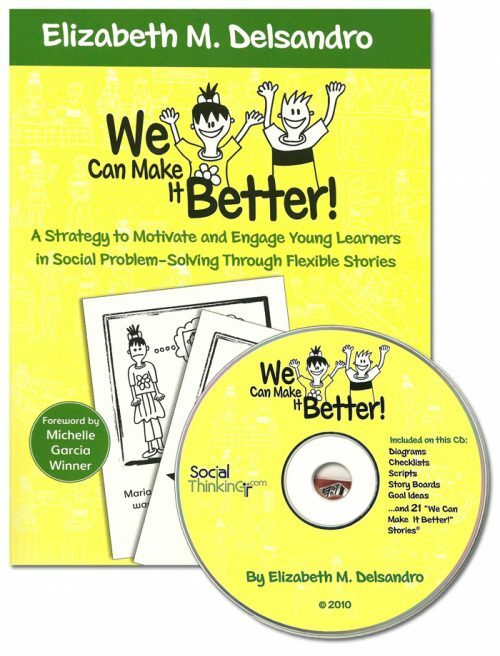 Many have found that while the worksheets were developed for students with social learning challenges, many of the topics and related content on the worksheets will benefit virtually all students in the mainstream! 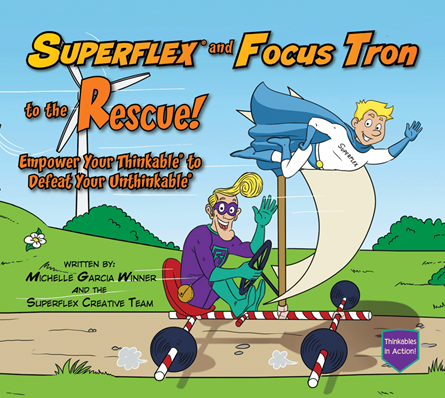 Our two Worksheets books are easily used by all types of persons working with our students, whether they are parents, paraprofessionals, professionals the worksheets help to guide the thinking not only of the students but of the teachers. Adult educators should take their time with students when using the worksheets to allow our students to explore the concepts thoughtfully. Adults should use the worksheets to facilitate our students own thoughts related to the topics presented. 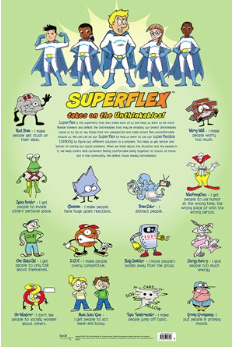 These worksheets may even inspire educators and parents to create their own worksheets for use by their students.